Some data have minus signs at the end, trailing minus signs. Excel does not convert these values automatically. 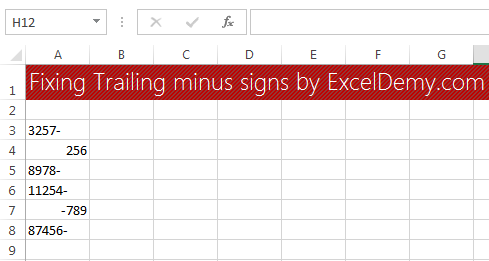 Excel considers them to be non-numeric texts. 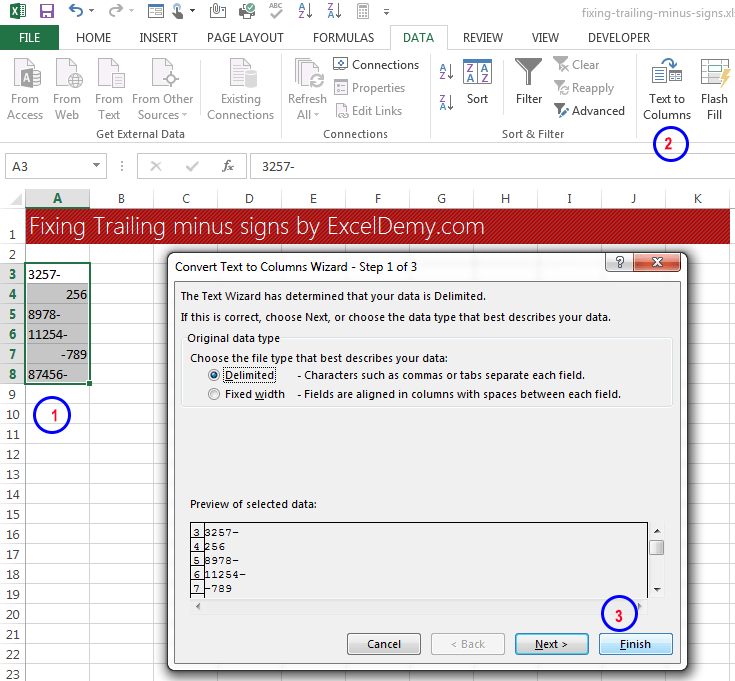 Select the cells that have the trailing minus signs. Your selection may also have positive and negative values. -3256 is a negative value, but Excel considers 3256- as a text value. Choose Data ➪ Data Tools ➪ Text to Columns. The Text to Columns dialog box will appear. This procedure works because there is a default setting in the Advanced Text Import Settings dialog box. 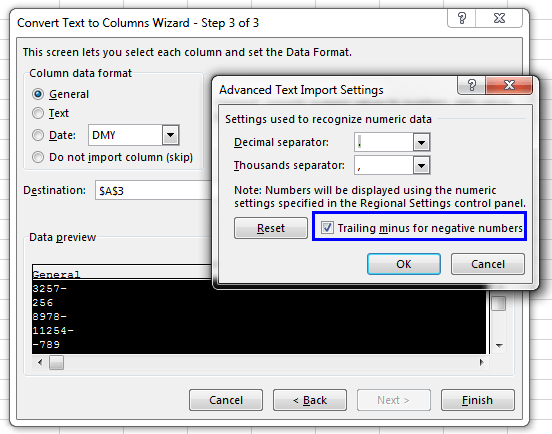 To display this dialog box, go to Step 3 in the Convert Text to Columns Wizard dialog box and click Advanced. Advanced Text Import Settings. dialog box. The Trailing Minus for Negative Numbers option makes it very easy to fix trailing minus signs in a range of data.